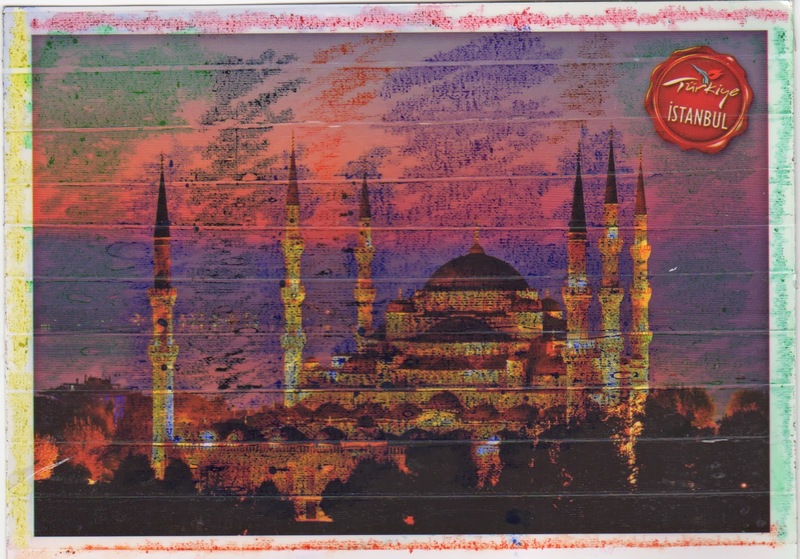 My first question when I see the postcard is why are mostly purple clouds gathering over Istanbul? Purple rain? Did it rain on Dave's holiday? Was there some interesting solar event? Did they give Dave Crayons at the hotel? 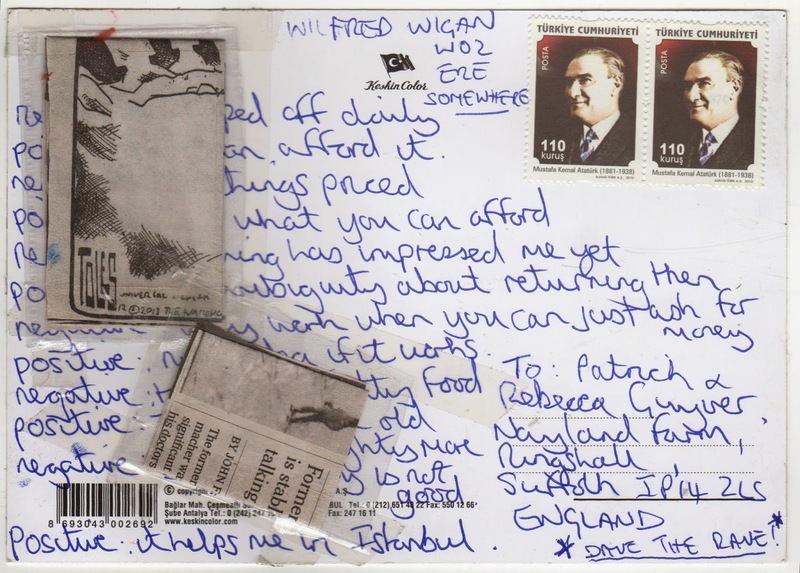 The next thing I notice is that it's a little difficult to read Dave's postcard because he's layered (and used plastic) to include and obscure what he'd written. Is he afraid of being tracked down in his hotel room? 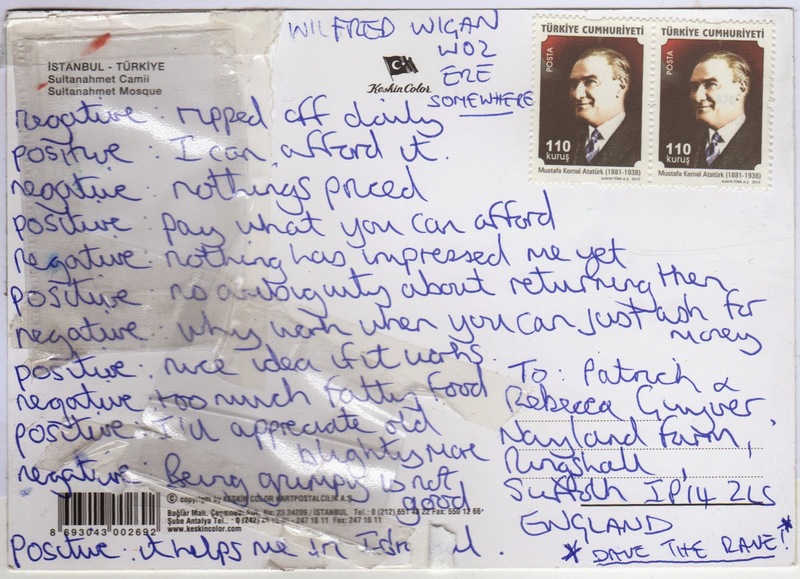 Those of you who saw the haul of mail art I got over the holiday period know I am achingly behind in my blogging and this card from Dave required even more attention that most, pealing the plastic without removing the words took careful effort. So Dave's card languished in the pile, got lost for a while with Taidgh's and Mary's and has reappeared, ready for analysis.